A year in the life of a maid working for a family in 1970s Mexico City. Have you ever found yourself seated on a flight, looking down at a city far below, wondering what little stories and dramas might be playing out at ground level? Alfonso Cuarón's Roma opens and closes with the silhouette of a plane flying high in the sky over Mexico City, an image that bookends his film's little stories and dramas. 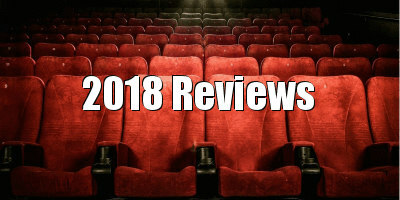 The drama in question takes place over the course of a year in the early 1970s, and revolves around an upper middle class household in the Colonia Roma neighbourhood of the Mexican metropolis. Cleo (Yalitza Aparicio) is a young indigenous woman who works as a live-in maid/nanny for currently unemployed biochemist Sofia (Marina de Tavira) and her doctor husband Antonio (Fernando Grediaga), spending six days a week looking after their four young children and Sofia's elderly mother, Teresa (Verónica García). On her day off, Cleo meets Fermin (Jorge Antonio Guerrero), the young man she's currently dating, and the two make love in a motel room, resulting in Cleo learning she is pregnant three months later. Fermin promptly disappears, but naively believing he wishes to play a role in raising their child, Cleo attempts to track him down. Meanwhile, Sofia has similarly been left in the lurch by her husband, who has walked out on the family. Roma is largely inspired by Cuarón's own childhood, and the director has called it a tribute to the women who raised him, but it's also a love letter to the cinema that has shaped him as an artist. The influence of Fellini is writ large in Cuarón's imagery here, and you might say it's the Mexican filmmaker's Amarcord, with its affection towards the more eccentric side of life. There's an admirable oddness to this world and the people who populate it, from Professor Zovek (wrestler Latin Lover), a TV celeb who makes an enchanting appearance in the flesh at an outdoor martial arts demonstration, to the 'Gringa' American woman who keeps the stuffed heads of her passed away dogs mounted on the walls of her villa. Against such a manic backdrop, Cleo is a monolith of sanity, forced to summon up the strength to keep Sofia's family together while dealing with her own dire situation. We witness Cleo go through some awful experiences, but she always comes out the other side smiling, and she seems to take joy in the simplest of pleasures. Watching a year of this resilient young woman's life may well put your own troubles, real or imaginary, in perspective. Cuarón has always pushed the technical boundaries of cinema with his films, so don't be fooled by the relatively low key nature of Roma's drama - this is his most cinematic endeavour, a true spectacle that finds visual magic in the everyday. Shot on 65mm, Roma boasts one of the crispest pictures I've ever seen, every minute detail of the teeming streets of Mexico City captured in focus. There's a scene that plays out in a cinema, Cuarón (who also served as cinematographer here) placing his camera behind his characters, and the image is so sharp that I felt like they were sitting in the row in front of me - I almost shushed them! Deserved or not, Mexico City has a bad reputation, and is rarely shown in a positive light on screen. Cuarón doesn't whitewash the peril the city is known for, and there are several scenes where characters become distracted by moments of mundanity and magic, only for danger to suddenly break out. A shopping trip for a child's crib explodes into a violent riot; lights dancing like fairies in the night sky are revealed as embers of a raging forest fire; a trip to the beach almost results in a drowning. Life, Cuarón seems to suggest, can be beautiful, but it can turn nasty at any moment, so savour the moments of beauty where you can. There's much to savour in Roma. 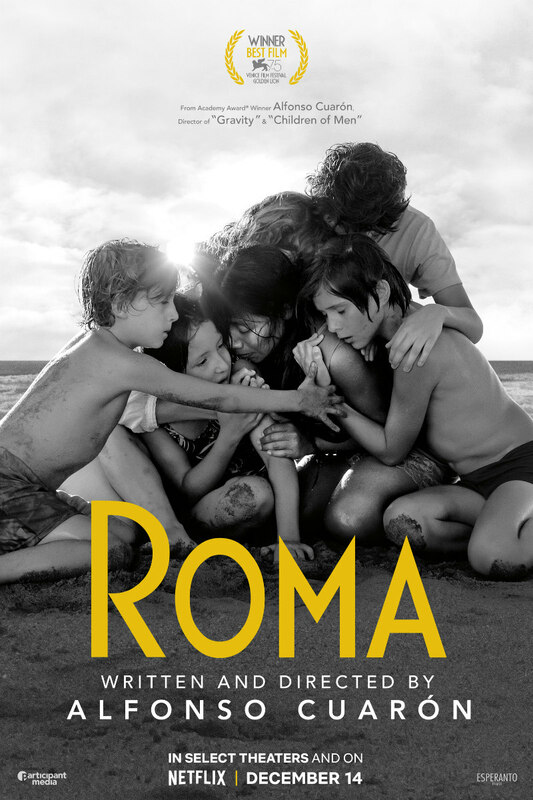 Roma is in UK/ROI cinemas November 30th and on Netflix December 14th.